Consultant psychiatrist Dr Adrian Treloar addresses the concerns surrounding depression. He suggests practical strategies, helping clergy and other pastoral carers to sensitively support people who are experiencing the pain of depression. Life does not always go to plan and our faith in God does not protect us from hardships and sorrows. The Pastoral Outreach series tackles many of these trials that we might face. Each book is a practical and thoughtful companion for those experiencing challenges and great for those trying to support them, whether priests, pastoral workers, friends or family. Depression is often trivialised and sufferers told to “snap out of it” or “pull yourself together”. Yet one woman described her experience of depression, saying, “I can’t get away from ‘myself’ and ‘myself’ is hurting so much.” Consultant psychiatrist Dr Adrian Treloar addresses the concerns surrounding depression. 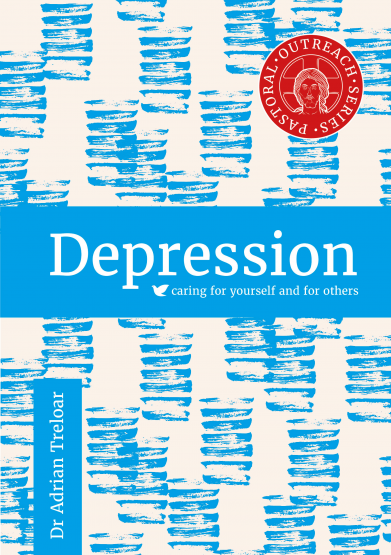 He suggests practical strategies, helping clergy and other pastoral carers to sensitively support people who are experiencing the pain of depression.